There’s no better time to talk about eating right and getting active than at the start of a new year, right? 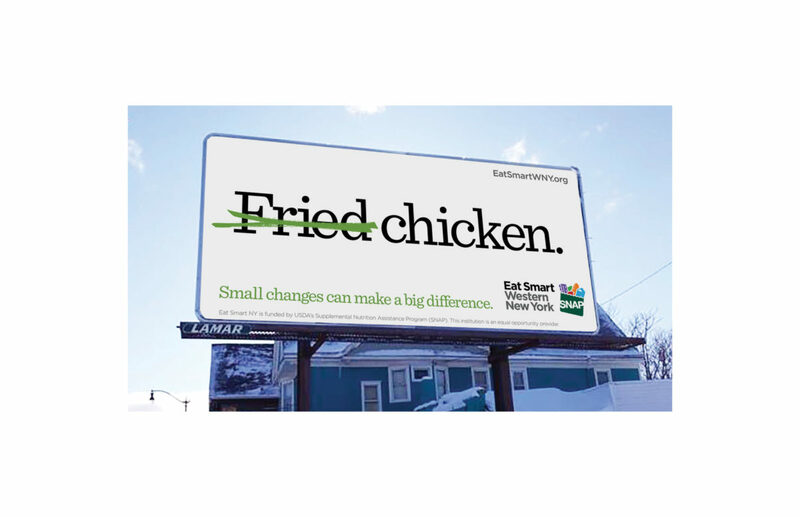 Well, that’s exactly what we’re doing in our newest campaign for Eat Smart Western New York (ESWNY). 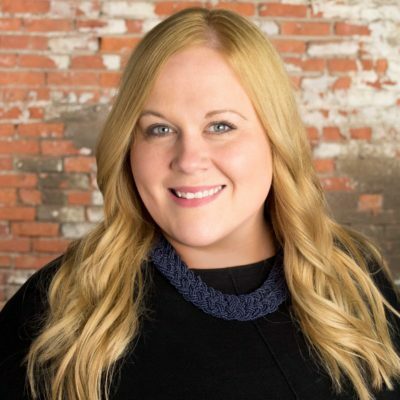 Our research found that one of the greatest hurdles people face when trying to get healthy is that they feel overwhelmed – you know, the all-or-nothing mentality. 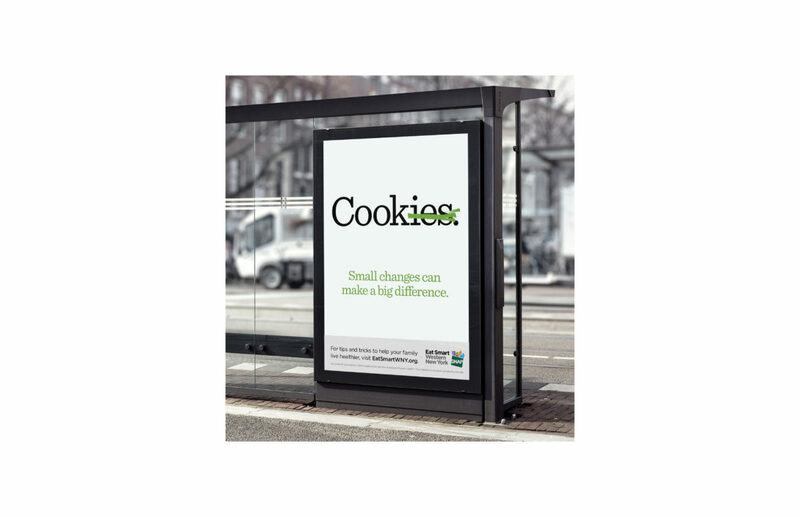 So we wanted to remind our neighbors that making just one small change each day can really add up. 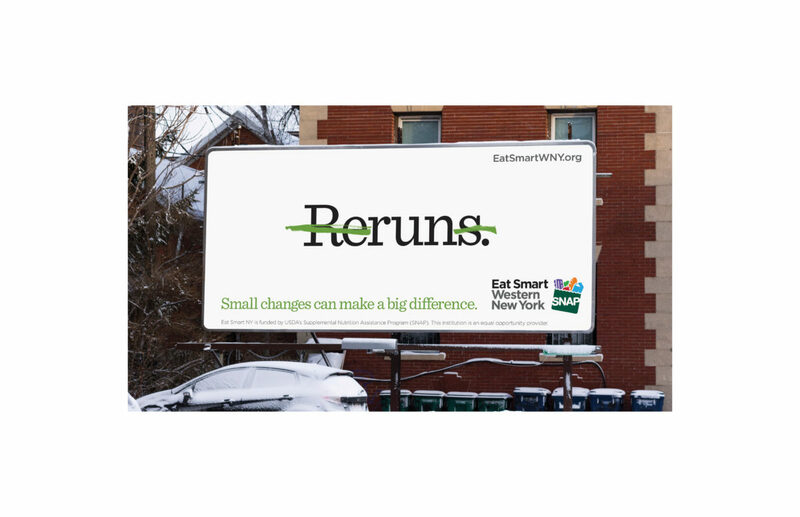 We sprinkled billboards and bus shelter posters throughout ESWNY’s footprint with these simple reminders. We also know that eating right on a budget is especially tough for those in our target audience. Because let’s face it, good food can be expensive. 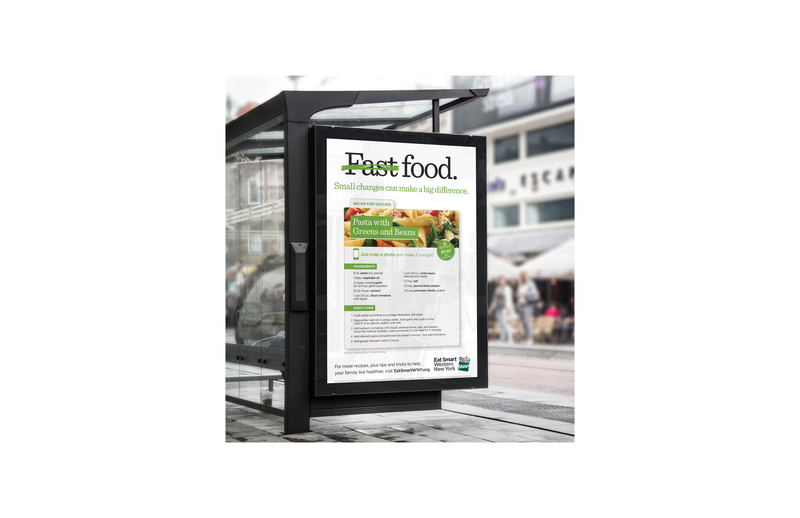 Our goal was to make it easier for them to create healthy meals at home. 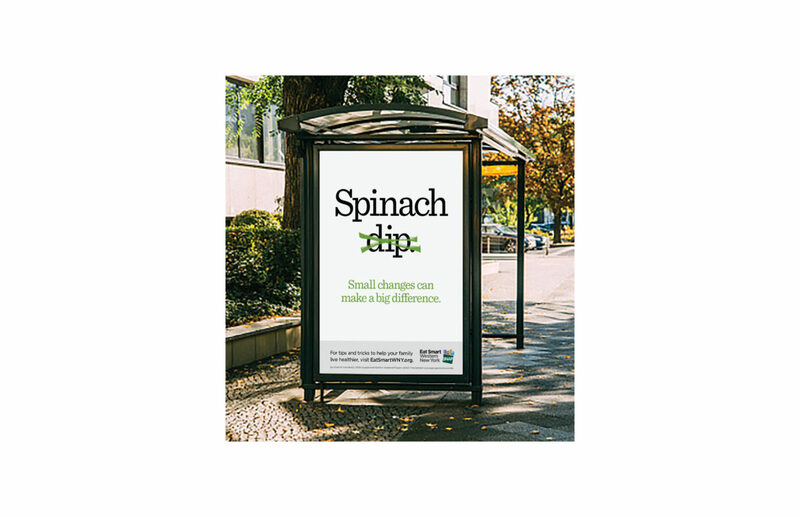 We curated healthy recipes that cost $5 and under and then posted them at numerous bus stops, inviting people to just take a picture of the recipe to save for later. Easy, right? 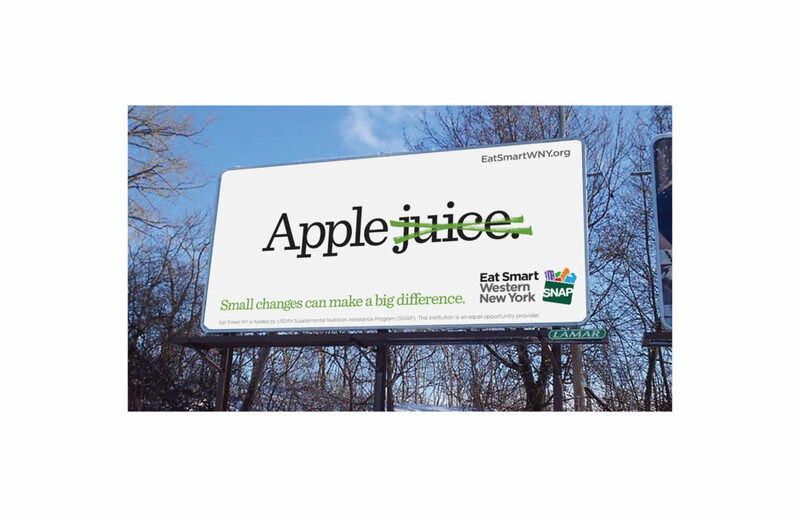 With the launch, we also developed a microsite, EatSmartWNY.org, to house even more small changes. And as the campaign grows, so will the site. 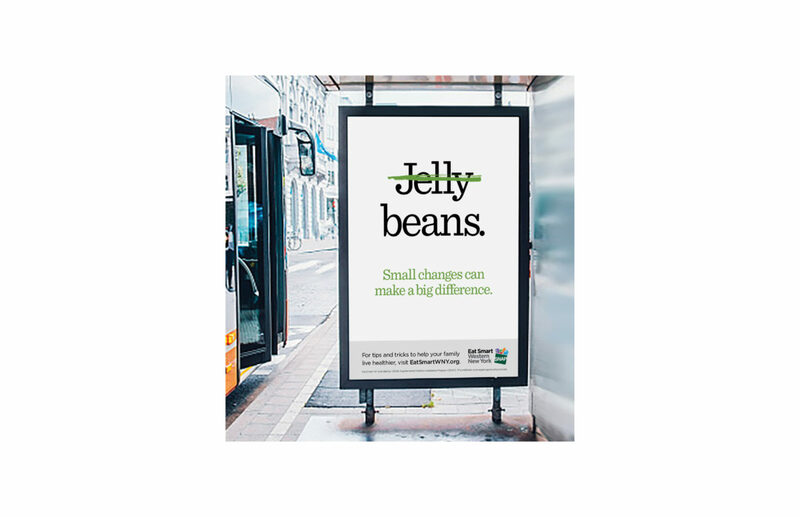 We’re super excited to be part of this one, and we can’t wait to roll out the rest of the campaign this spring. Stay tuned!